Animal intelligence has been studied for years and birds are often at the top of the list of smartest animals. But some birds, including parrot species that are often kept as pets, have shown to be smarter than others. African Grey parrots are the most heavily studied species of pet bird and have demonstrated a very high level of intelligence. 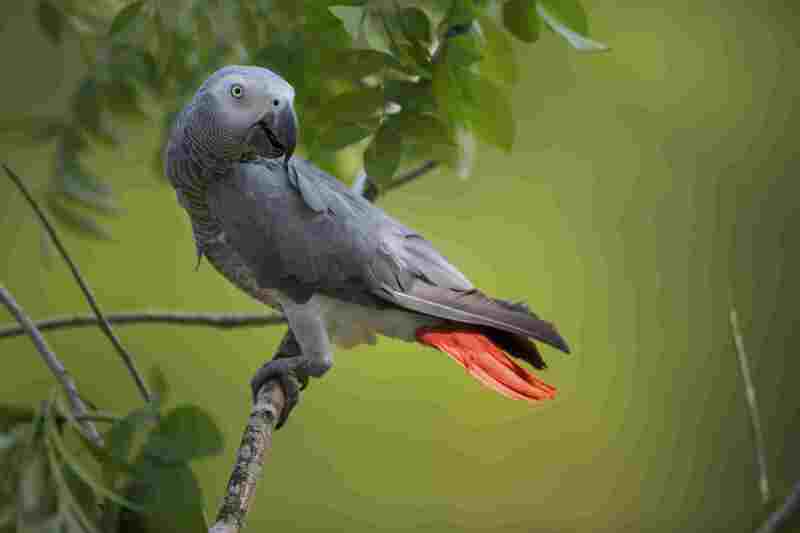 One of the most famous African Greys was named Alex but he passed away in 2007 at the young age of 31 years. He was purchased from a pet store at the age of one year by a doctoral student at the time, Dr. Pepperberg, who cared for him and studied him his entire life. Up until Alex, most research on avian intelligence was done using pigeons and needless to say, was disappointing. Alex changed people's thoughts on what a bird was capable of learning. Over the years and up until his death, Alex learned over 100 English words and was thought to have the intelligence level of a five year old when he passed away. Critics of Alex's studies argue he may have simply been a product of operant conditioning and not true understanding but even if it was simply a trained response, Alex's abilities far surpass anything most pet birds have been able to achieve. Because of Alex, African Grey parrots now have a reputation for being quite smart birds and need constant mental stimulation. Also considered parrots like the African Grey, there are several different types of macaws, including the longest parrot on the planet, the Hyacinth macaw. All parrots, and therefore macaws, are thought to have similar levels of intelligence. The intelligence level of some macaws has been compared to that of a human toddler. They can problem solve, use tools, and have high levels of communication with other birds, utilizing sounds and even physical changes, such as face blushing. A Canadian study showed that after analyzing 98 different bird brains there is a definite difference in the size of one specific part of a parrot's brain. This part of the parrot's brain is similar to that of a primate's, another highly intelligent animal, and is responsible for communicating between the cortex and cerebellum. It is called the spiriform nucleus and in parrots is two to five times larger than it is in a chicken. This part of the brain is thought to play a major role in the planning and execution of advanced behaviors. The cockatoo, also a type of parrot, was the first type of bird to be seen making musical instruments. In Australia, palm cockatoos were observed using twigs and seed pods to make drumsticks, and other types of cockatoos can sway to a musical beat, demonstrating they have an understanding of rhythm. One study utilized Goffin cockatoos, a small type of cockatoo, and demonstrated their recognition of object permanence. Object permanence is simply the idea that someone can understand that just because an object isn't visible, it's still there. The example of a nut in a pocket that is out of sight is often used to describe object permanence studies in birds. In human babies, solving an object permanence puzzle isn't typically able to be done until 18 to 24 months of age. To no surprise, the study showed that wild Goffin cockatoos have spatial reasoning abilities that are comparable to primates and human babies. More commonly referred to as budgies or the common parakeet, the budgerigar is actually one of the smallest members of the parrot family (with the parrotlet being the actual smallest parrot). But just because it's small, doesn't mean that the budgie isn't smart. Budgies were the first non-mammal species to demonstrate an understanding of the human language, but they only place them on par with a seven month old human child. One study showed that budgies were able to recognize a specific pattern of meaningless words, something that demonstrates the ability to pick out an abstract pattern. This is important because prior to this study, only humans, rats, monkeys, and other intelligent species had shown they were able to do this. Like the other types of birds on this list, there are many different kinds of conures and all conures are types of parrots. Because of this, conures also require a lot of mental stimulation and enrichment in order to keep their smart brains busy. A lot of exercise, toys, and social activities are a must for a conure. Whether it's a Green-cheeked, Jenday, or Sun conure, all conures will be sure to show you just how smart they really are.